Zelda II The Adventures of Link is a pretty far departure from its predecessor. 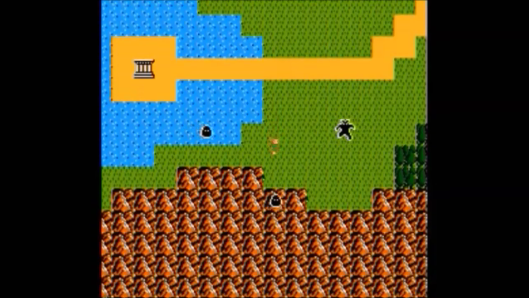 The first game was a top down open world action RPG. You could go almost anywhere you wanted provided you could survive long enough to get there from the start of the game. 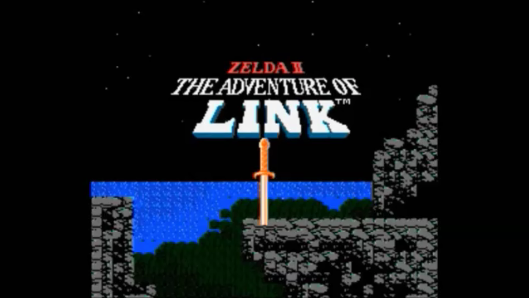 The Adventures of Link is an action RPG but it is a side scrolling 2D platformer and many of the areas are closed off to you until you unlock the area with an item or doing a task. The Adventures of Link is a direct sequel to the first game but it has a bit of twist when it comes to the games story. Princess Zelda has fallen under a powerful sleeping curse but it is not the Zelda from the first game. This is the princess Zelda from long ago. She was struck down by her bothers evil wizard because she refused to tell him the secrets of the Triforce fearing what her brother would do with this power. This is why all royal princesses from Hyrule are named Zelda, in honor of the countries first fallen daughter. 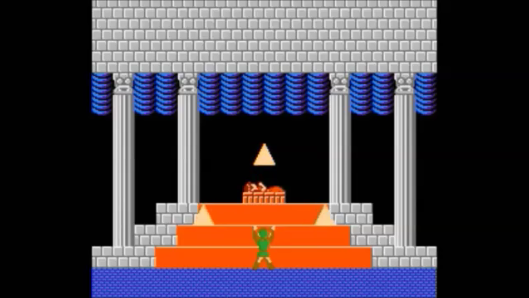 Zelda II created some big controversies when the game play style was so drastically changed. Zelda II came out between 1987 (Japan) and 1988 (North America), so most gamers had no idea about the changes until they bought the game. Despite all of these differences the game turned out very well. Controls are great and we have to bring this up because many 2D platformers that came out around the same time have terrible control, Mega Man, Ghouls and Ghost, and Castlevania to name three. But, you also spend parts of Zelda II in a top down mode like the original game when traveling around from town to town and dungeons. You can choose to attack your foes when they appear or avoid them if you want. This is why the controls were such a big deal, avoidance at times is key. 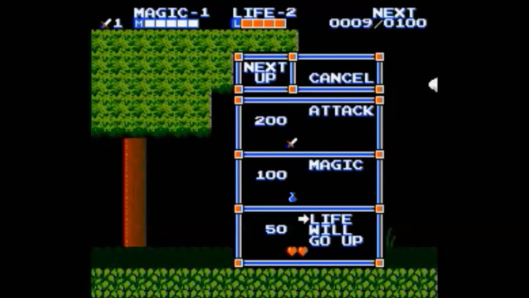 There also experience points in Zelda II and the system you use these points is great. It is simple but ground breaking at the time and still effective. You can power up your swords attack power, the amount of magic you can use or how many hearts you have. It is easy to figure out and you can pick and choose how and when you do it. For example if you have 100 points and you can raise you attack or magic but you want to increases your attack but you need 200 points, then just decline and wait until you earn 100 more points. There is actually a lot of strategy in this because if you get enough points and you upgrade your magic right before you fight a boss for example not only do you get full magic but after you defeat the boss you automatically get enough points to level up your lowest upgrade. We use this tactic the entire game and we were able to max out all of Links levels. Zelda II The Adventures of Link took us over 15 hours to get through the game the first time and the replay is high. Zelda II is even better than the original version because of the save any time system. So if you have 2400 experience and you need 2500 no need to worry if you die because your points will not restart at 0 if you took the time to save your game often. The only things that bugged us is that some towns you can be attacked while you are talking to someone or ever killed because you can’t get out of the conversation in time to defend yourself and some secrets are so hard to get you only find them by accident. But besides these small issue Zelda II The Adventures of Link is great for all gamers. Easy by at the $5.00 price point on Nintendo eshop and anything under $5.00 is a MUST BUY PRICE!